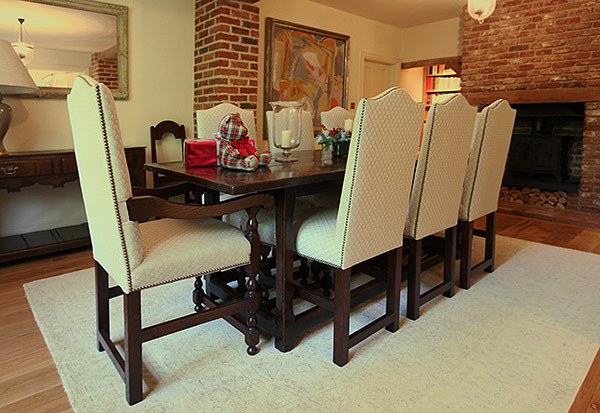 Period style oak upholstered chairs, with our clients 17th century table. Shown here in the dining room of their Surrey country home. If you look closely, you can see how a little design tweak overcomes a common problem with early tables, where the box stretchers (all round the perimeter) prevent chairs being tucked under. By raising the side stretchers of the chairs, our client can hook them over the obstructing table stretchers, when not in use.